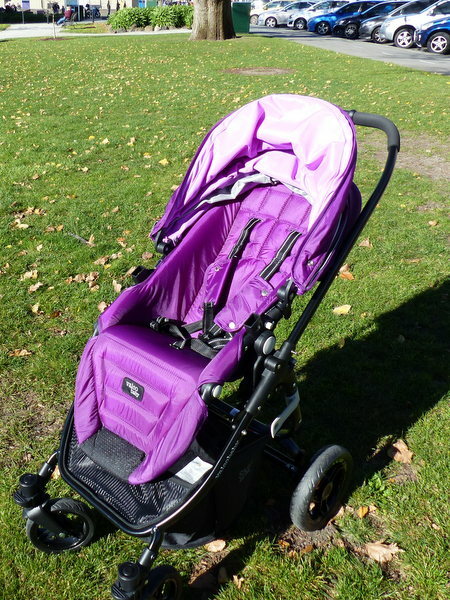 The Valco Baby Snap Ultra Stroller makes trips to the shops and walks around the block very stylish and easy. It’s lightweight, durable and compact enough to fit through small spaces. It is a great choice for urban parents. 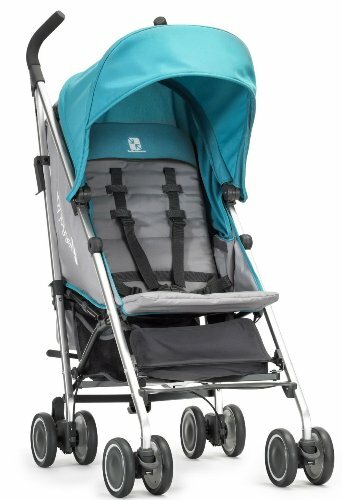 I looked into many options for my fifth baby and this stroller just kept standing out thanks to its size, quality, look and the fact that it’s great from birth. The sun canopy is huge, as is the storage basket. Both are easy to access and adjustable. The seat recline is also fully adjustable and you can have it either parent facing or forward facing making it great for young and old kids. It’s also possible to buy all terrain tires for this stroller making it perfect for not just city living, but for going off road. Can be forward or parent facing. The Valco Baby Snap Ultra has super easy maneuverability, with a huge basket that is easy to access. The canopy is massive and means that you don’t need to invest in a separate rain cover if you won’t be out in heavy rain with a baby. It also provides plenty of sun coverage. 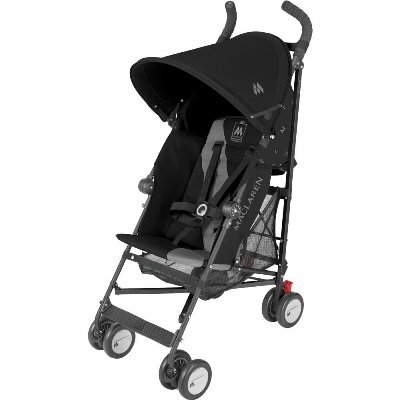 The biggest selling point for me, however, was how lightweight and compact this stroller is. We fit it through tiny spaces in shops and cafes and it’s a lightweight 18 pounds – which is even lighter for lifting as you can separate the seat for folding. This was great when recovering from my c section in particular. It’s also a big plus how easy it is to change the seat from front facing to parent facing. 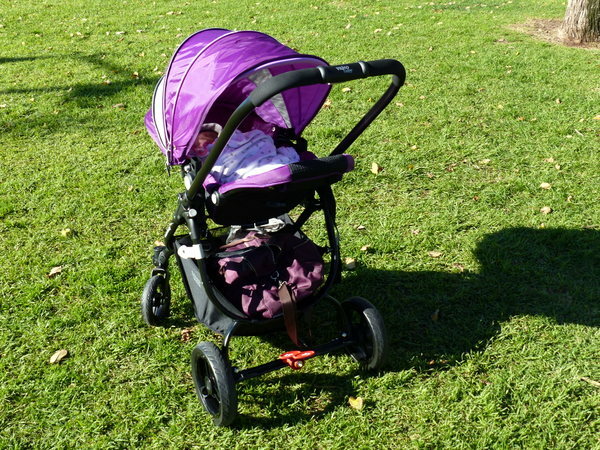 I love that this stroller is compact while still having great features – usually it’s one or the other. 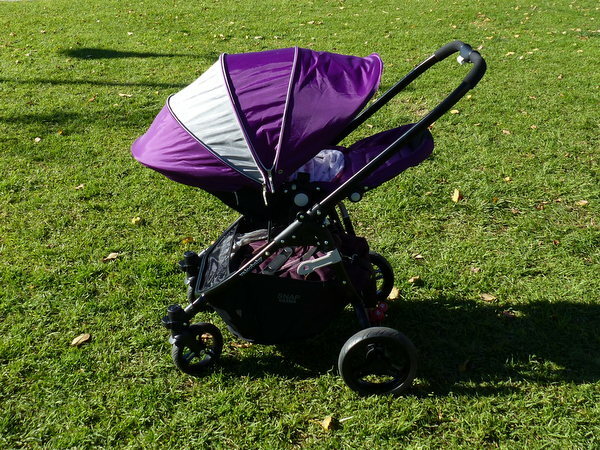 I also love that it’s suitable from birth and, with the canopy and leg cover, it felt like a bassinet – although you can also buy a bassinet attachment. The one real negative about this stroller is that the fold is not as compact as I would like and requires two hands. It is possible to use just one hand if you fold it all in one but then the stroller is very bulky for loading into the trunk. In reality, you are going to be folding the stroller in two separate pieces. It’s also difficult to work out how to do all of this the first time. I also wish the stroller came with more accessories. A cup holder for parents would be very useful. You can purchase these items separately. All in all, I love this stroller and I am glad I finally decided to purchase it for our new baby. It looks great, has a smooth and easy ride and I just love the sun canopy, the storage basket and how compact it is. My newborn baby seems very snug inside and always falls asleep instantly. I have also put my older kids in this stroller and they fit well too, although it does start to get small for tall preschoolers. 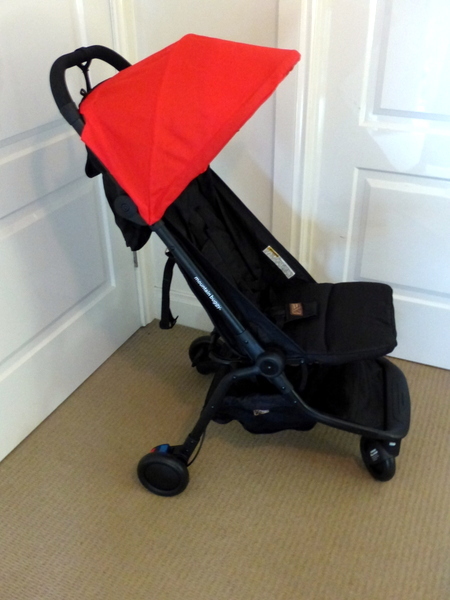 This stroller ticks all boxes for me and I recommend you take a look. Still undecided? 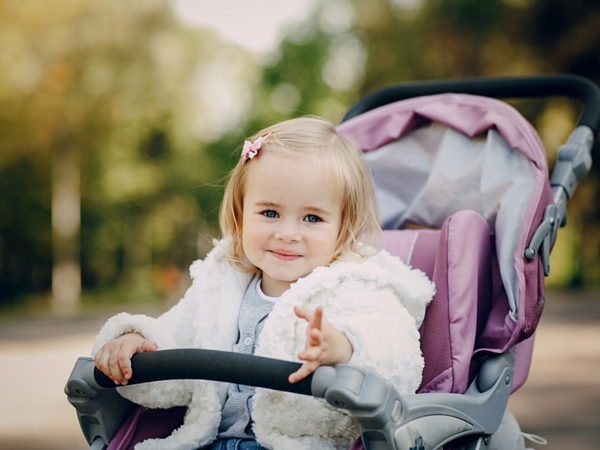 Check out our guide to buying a lightweight stroller. If you want a stroller perfect for city living, you may also appreciate our guide to the best strollers for NYC.